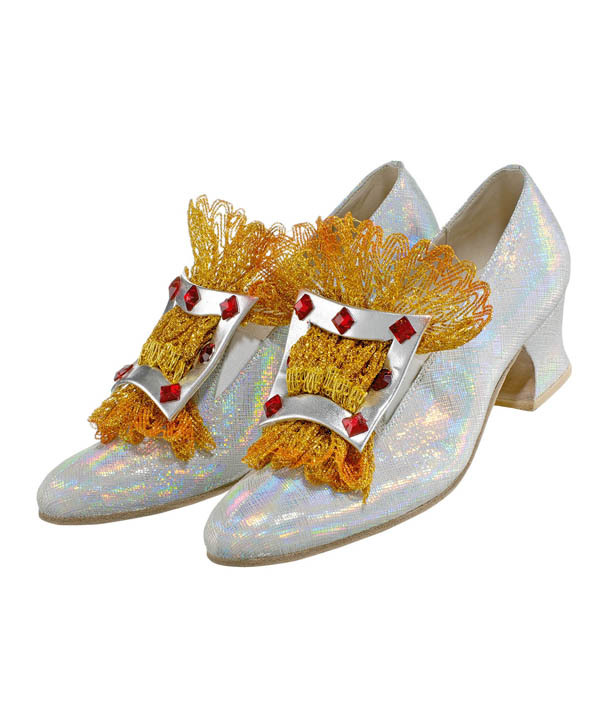 Male theatrical King shoe with an oversized jeweled buckle and hand sewn leather soles and 2″ covered heel. Color: Silver leather glitter. Other materials and colors available at the customer’s request. 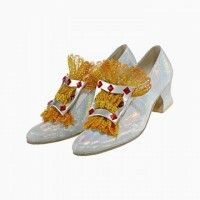 Female theatrical Queen shoe with ornate lace and jewel details and hand sewn leather soles and a 2 3/4″ covered heel. Color: Silver textile glitter. Other materials and colors available at the customer’s request. Male laced up boot with hand sewn leather soles and 3 cm solid leather heel. 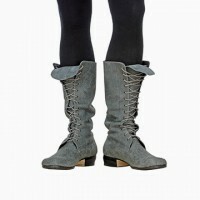 Colors: Antique grey leather. Other materials and colors available at the customer’s request. Yakut boot with leather soles and bootleg decorated with leather details and suede fringe. Colors: white, black, red or beige leather. Other materials and colors available at the customer’s request. 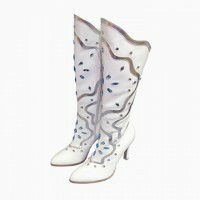 Alaska boot with leather soles and bootleg decorated with suede details, fur and Swarovski crystals. Color: Gold leather. Other materials and colors available at the customer’s request. 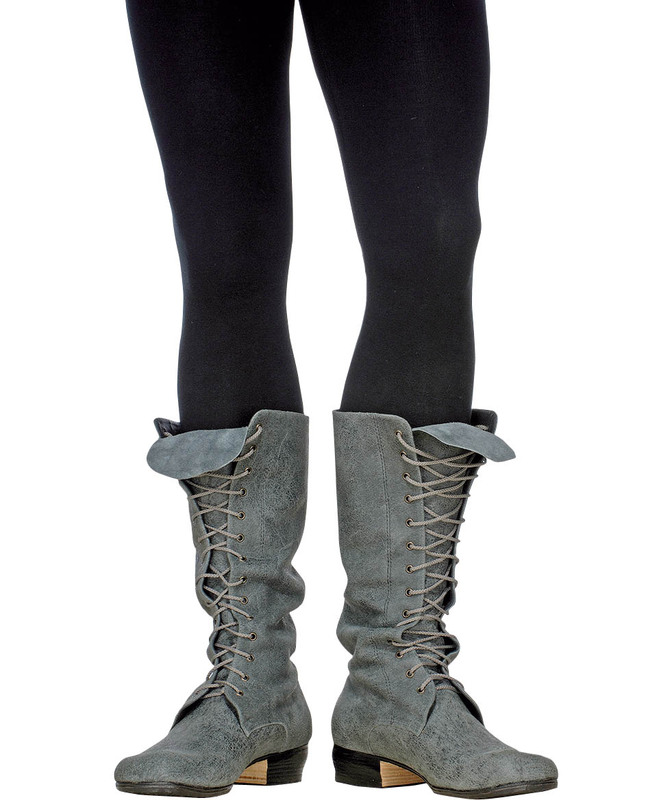 Tartar boot features a hand sewn leather sole and 5 cm leather covered heel. Color: Red leather. Other materials and colors available at the customer’s request. 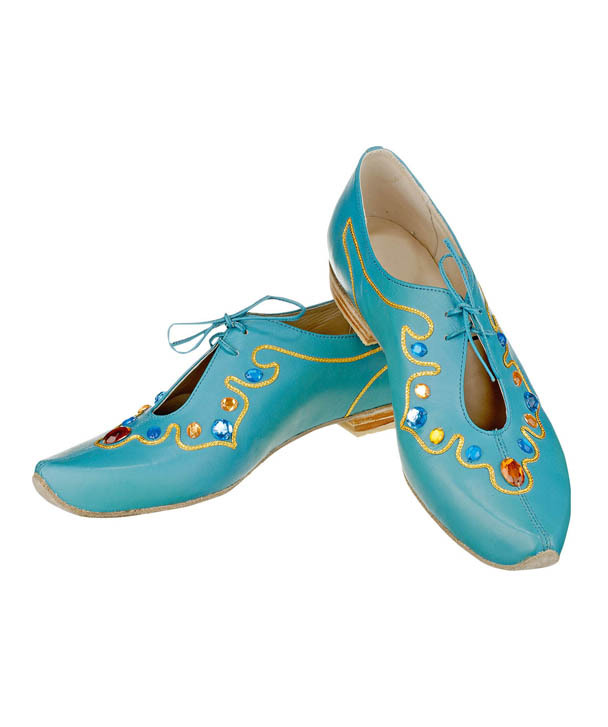 A flat shoe with a hand sewn leather sole with no heel. 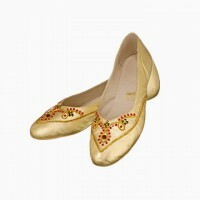 They are decorated with laces and coins. 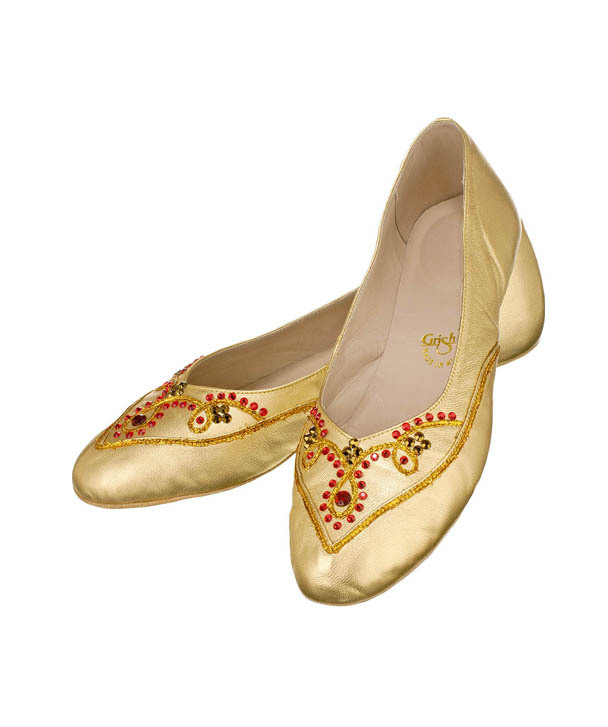 This Persian shoe features a hand sewn leather sole and a 2 cm solid heel. It is decorated with braiding and artificial stones. Color: blue leather. Other materials and colors available at the customer’s request. 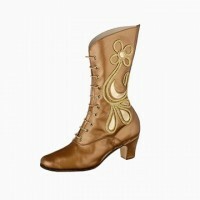 This stunning female boot features a hand sewn leather sole and a 5 cm leather covered heel with a laced-up front. 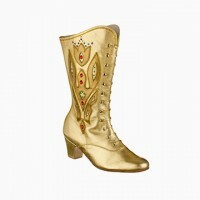 The boot is exquisitely detailed with leather applique, braids, and artificial jewels. Colors: gold or silver leather. Other materials and colors available by request. 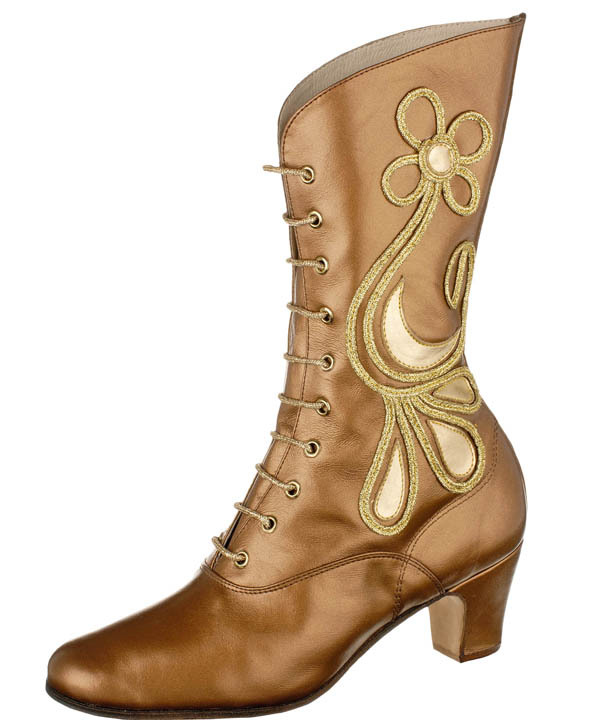 This beautiful lace up female boot features a hand sewn leather sole and a 5 cm leather. 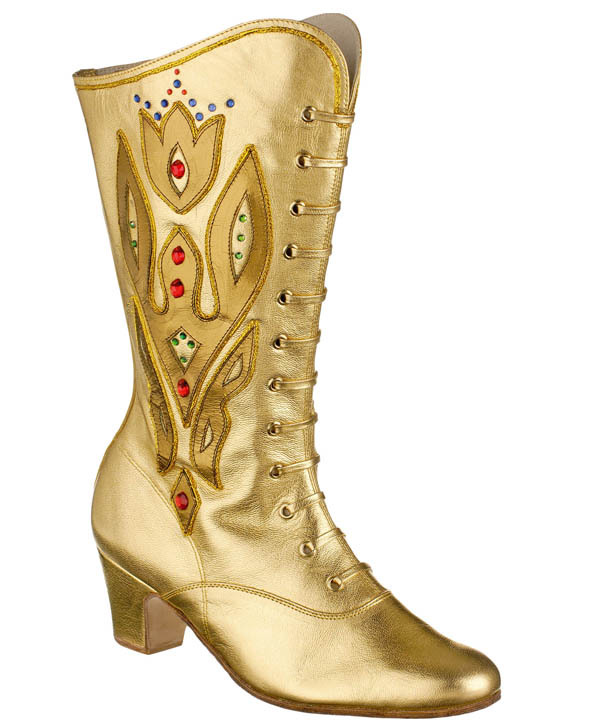 The boot is exquisitely detailed with braiding and gold leather applique. Colors: gold silver and bronze leather. Other materials and are by request. 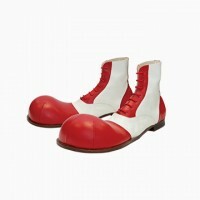 The Clown boot has a ball-shaped toe but is also available with a flat toe. 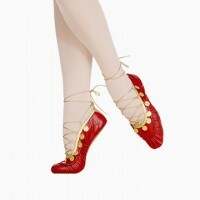 It features a hand sewn leather sole and a 2 cm solid leather heel. Colors: white, black or red leather. Other materials and colors available at the customer’s request. 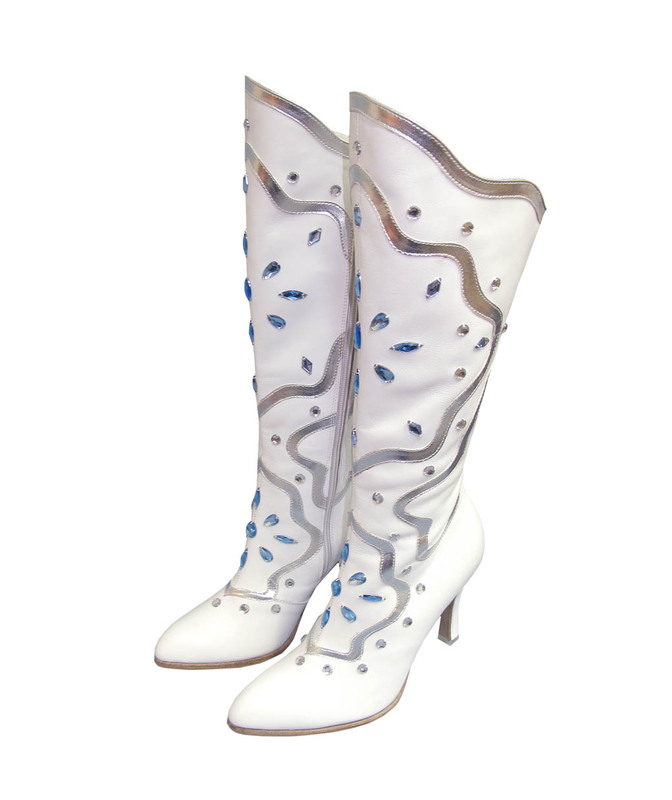 This magnificent Snow Maiden boot has a stitched leather sole amd a 7 cm covered heel. Beautifully decorated with applique, artificial stones, figure edging and a zipper. 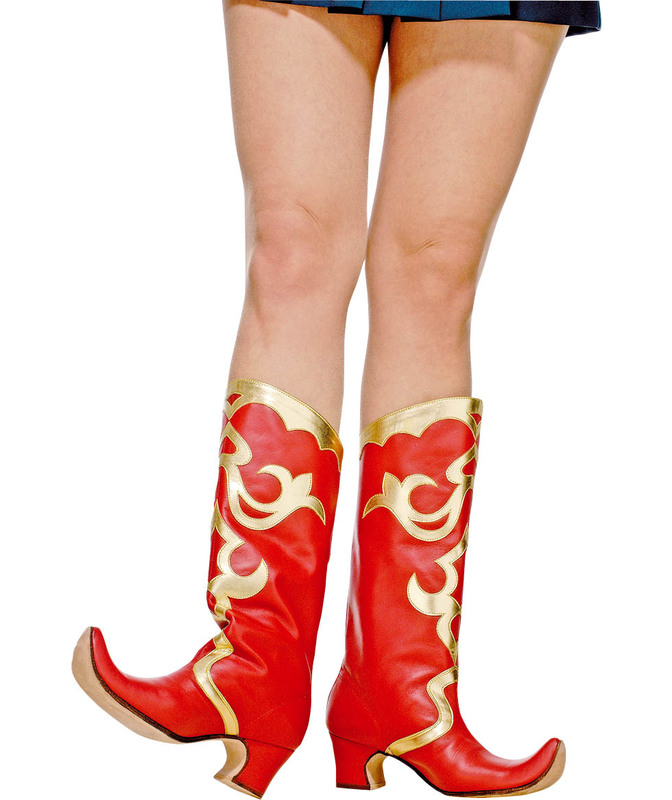 Color: white, turquoise, gold, silver and red leather. Other materials and colors by request. 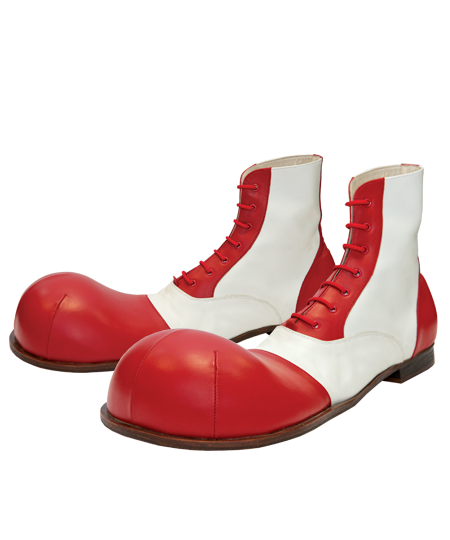 Size 33 – 43 . 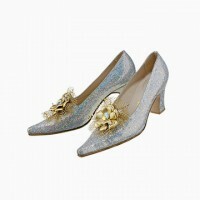 The Page shoe features an oversized silver buckle detail and a split leather sole, side rubber insets and a 1 cm heel. It has elastic insets on the sides. Color: Black suede. Other materials and colors available. 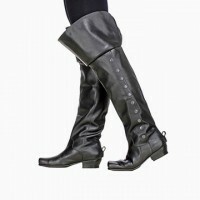 Male boot with a fold-over top and decorative buttons lining the outside of the boot. 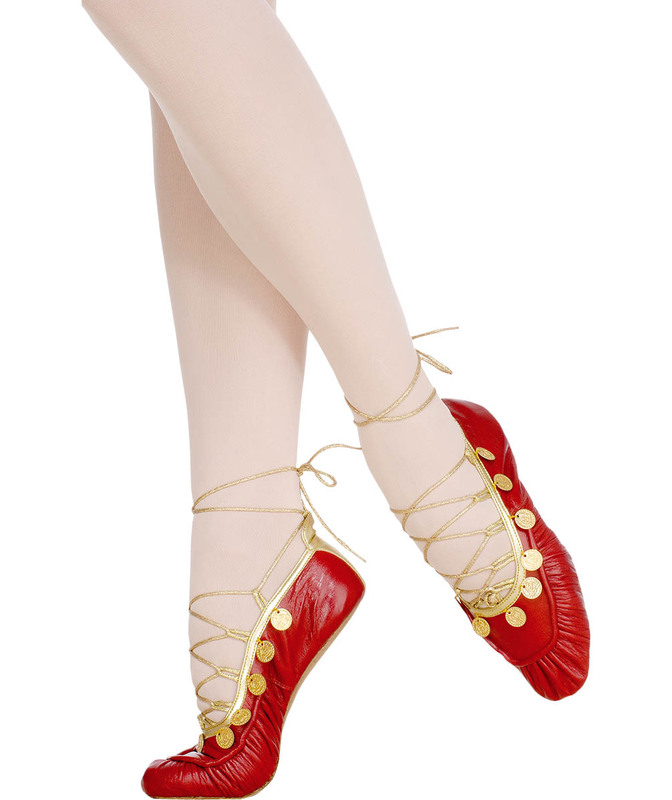 The boot features a hand sewn leather sole and a 3.5 cm solid heel. Color: Black leather. Other materials and colors available at the customer’s request. The Female Jack boot features a lace-up up the back of the boot with a wide solid leather heel and a hand sewn leather sole and a 5 cm leather covered heel. Colors: white, gold and silver leather. Other materials and colors available at the customer’s request. 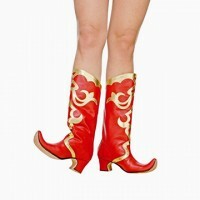 The Female Jack boot features a wide solid leather heel and a hand sewn leather sole and a 5 cm leather covered heel. 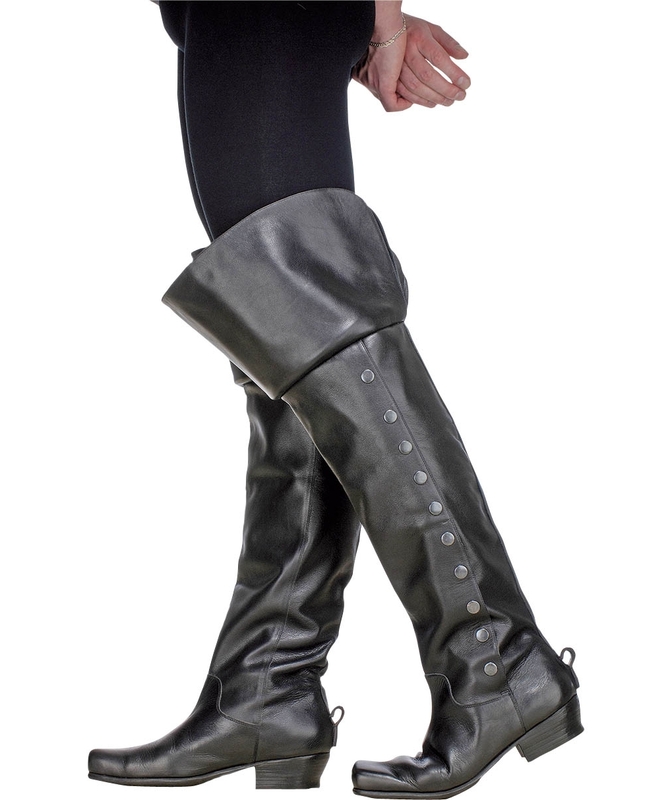 A version of our Female Jack boot with a stiletto heel, silver disc details and a partial side zipper. Color: Black suede and patent leather (shown). Other materials and colors available at the customer’s request. A version of our Female Jack boot with a stiletto heel, with partial lace-up details up the upper back of the boot and a partial side zip. Color: Brown snakeskin leather (shown). Other materials and colors available at the customer’s request. 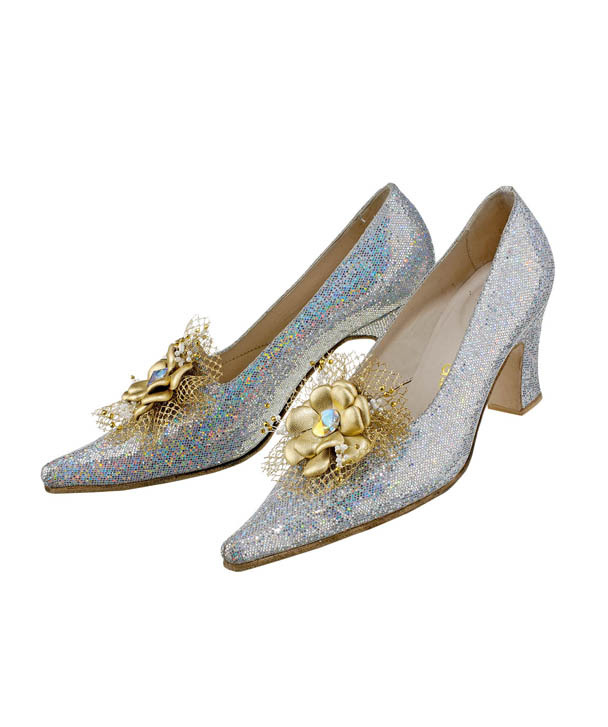 Our Wedding shoe features satin upper with ribbon that wraps and ties around your ankle, a hand applied thing suede sole and a 7 cm satin covered heel. Color: White(shown). Other materials and colors available at the customer’s request.